From monthly farmers markets and a colorful Mardi Gras celebration to a geocaching festival and a Christmas parade, La Porte’s event calendar is full of things you won’t want to miss. Located just east of Houston and minutes away from Baytown, Pasadena, and Seabrook, La Porte sits right in the middle of it all. Discover some of the top annual events in La Porte and start planning your next getaway to this quaint coastal town today. Sip a glass of wine and shop for artisanal crafts and fresh goods produced by local farmers on the third Saturday of every month at the Five Points Plaza. Then visit the Main Street area to check out the eclectic shops and eateries. Come to Main Street La Porte on the first Saturday of every month to browse the antiques and collectibles sold by many of the downtown area’s vendors. Captivating street entertainers, jazz performances, and all the vibrant colors of Mardi Gras come to Main Street La Porte every February. Take it all in, then get something tasty from one of several food trucks, grab a drink at the craft beer garden, and shop the New Orleans-style market. For one day in March, downtown La Porte is transformed into a sprawling art gallery displaying a patchwork of colorful quilts that are entrants to a quilting competition. In addition to checking out the quilts, you can browse antique shops, play Blanket Bingo, and enjoy food from locally owned restaurants. 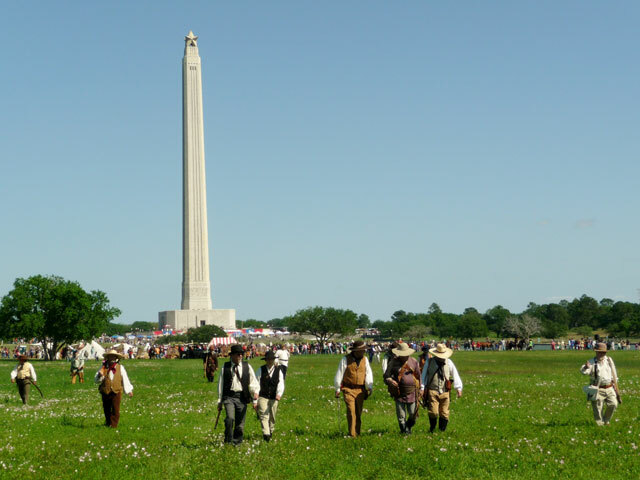 See how Texas won her independence at the largest battle reenactment in the Lone Star State. Along with the reenactment, the one-day festival features food, family activities, live music, cultural demonstrations, and other presentations. What’s the best thing you can do once the weather warms up? Hit the beach, of course. And there’s no better time to do that than during the Sylvan Beach Festival, a two-day event in late April starting with a parade and including live entertainment, food, a carnival, arts and crafts booths, and more. Test your endurance at the Sylvan Beach Triathlon, a three-stage race that takes you through La Porte. Swim 500 meters in the open waters of Sylvan Beach, bike 15 miles on the flat streets of Fairmont Parkway, and finish strong with a three-mile run to Morgan’s Point. A duathlon made up of a two-mile run, 15-mile bike ride, and another three-mile run is also available. Legend has it that the infamous pirate Jean Lafitte, with two henchman, buried a treasure chest somewhere near La Porte. 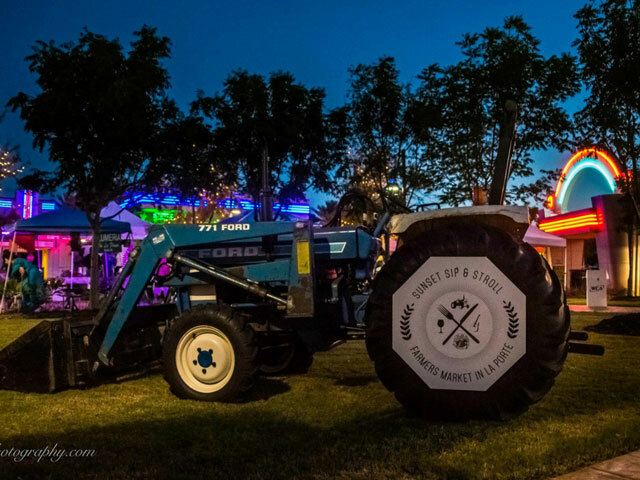 What better time to find it for yourself than during this annual event that includes a city-wide geocaching treasure hunt, costume contests, street entertainers, food trucks, live music, and a beer garden. Go for a personal record at La Porte’s annual half marathon that is one of the most unique of its kind in the state. 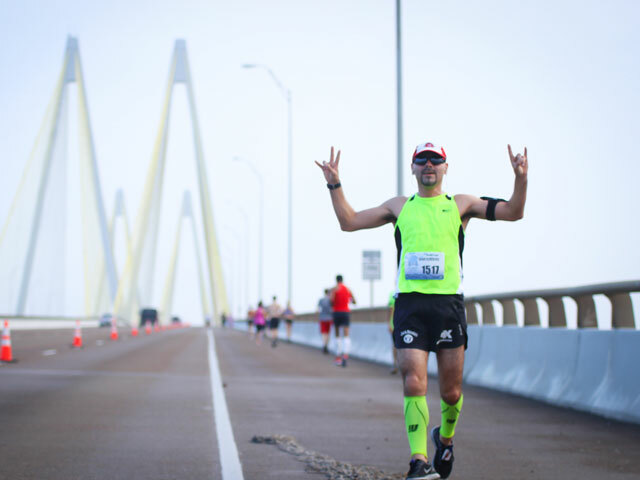 Starting at the Sylvan Beach Park, the route takes you through the streets of La Porte and on to the Fred Hartman Bridge, where you’ll enjoy soaring views of the Houston Ship Channel from nearly 200 feet above the water. Cross the finish line at Five Points Plaza and celebrate with tasty food and cold beer. Ring in the holiday season at La Porte’s annual Christmas celebration held along Main Street. The three-day event features a tree lighting ceremony, free face painting, the MADD Jingle Bell Run 5K & 1K Fun Run, the Lighted Christmas Parade, and plenty of chances for your little ones to meet Santa Claus.